Our faith in Jesus Christ, God’s justifying grace, and the authority of Scripture, calls us to be a welcoming, compassionate, and caring congregation. We provide a community of faith which glorifies God through dynamic worship, intergenerational Christian education, community service, generosity, hospitality, and fellowship. Our church family is a community of believers who seek to follow Jesus Christ as Head of the Church, and who are called by God to share the Good News with the whole world. We seek a new openness: to the sovereign activity of God, our membership, our institutions, and to God’s continuing reformation of the Church Ecumenical. "In gratitude to God, empowered by the Spirit, we strive to serve Christ in our daily tasks and to live holy and joyful lives, even as we watch for God's new heaven and new earth praying, 'Come, Lord Jesus.'" - from A Brief Statement of Faith. The Presbyterian Church (U.S.A.) is distinctly a confessional and a connectional church, distinguished by the representation of Ruling Elders - laypeople - in its government. The church has a membership of 2.3 million in all 50 states and Puerto Rico. Currently there are nearly 11 thousand congregations, over 21,000 ordained ministers, 1,100 candidates for ministry and more than 94,000 Ruling Elders. In America, the first Presbytery was organized in 1706; the first Synod in 1717; and the first General Assembly was held in 1789. 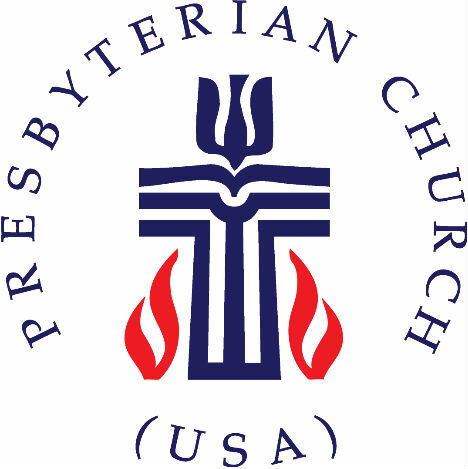 Today's Presbyterian Church (U.S.A.) was created by the 1983 reunion of the two main branches of Presbyterians in America separated since the Civil War - the Presbyterian Church in the U.S. and the United Presbyterian Church in the U.S.A. The latter had been created by the union of the Presbyterian Church in the U.S.A. and the United Presbyterian Church of North America in 1958. Presbuteros, the Greek word meaning elder, is used 72 times in the New Testament. It provided the name for the Presbyterian family of churches, which includes the Reformed churches of the world. Both Presbyterian and Reformed are synonymous with churches of the Calvinist tradition.